Strategy game with only the most powerful chess piece! All the fun of the powerful chess Queen with every move in the game! In this two-player strategy game of All Queens, you'll have to plan your moves carefully as you try to outwit your opponent's intensions. Be the first to line up four Queens in a row and you're the winner! 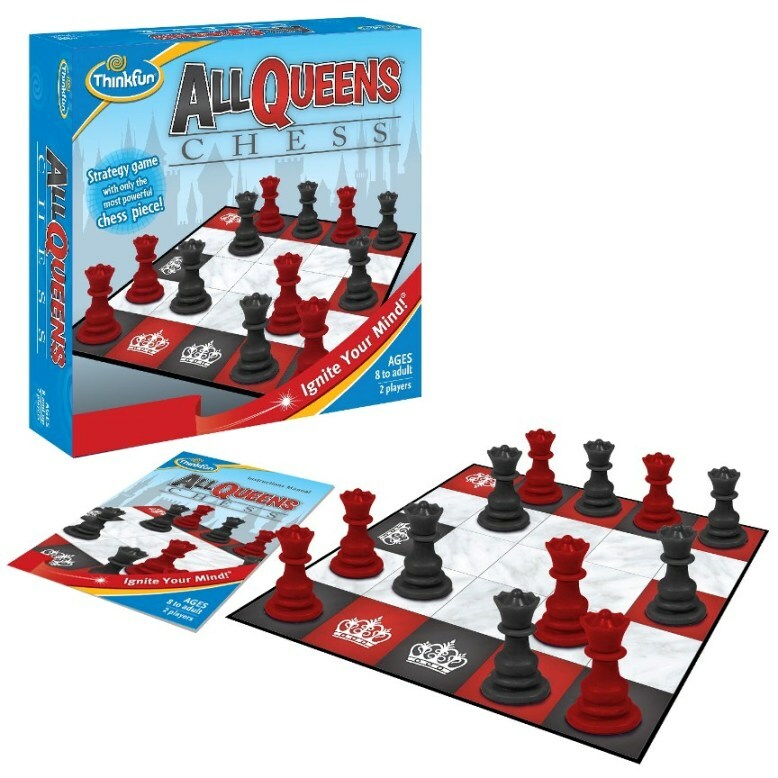 Includes 6 Red and 6 Black Queens, game board and instructions. Suitable for ages 8+. This product was added to our catalog on 03.05.2016.